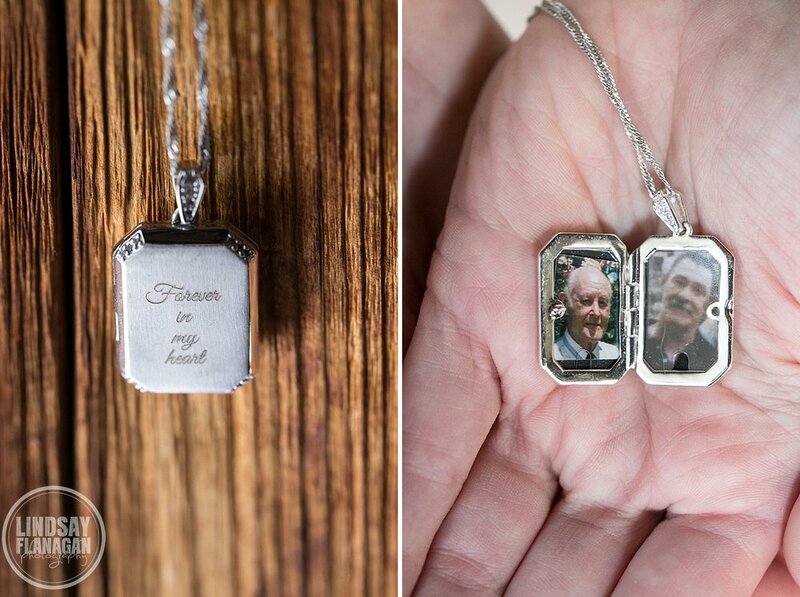 Nicole and Geoff had a beautiful wedding at The Christmas Farm Inn in Jackson, New Hampshire last fall. 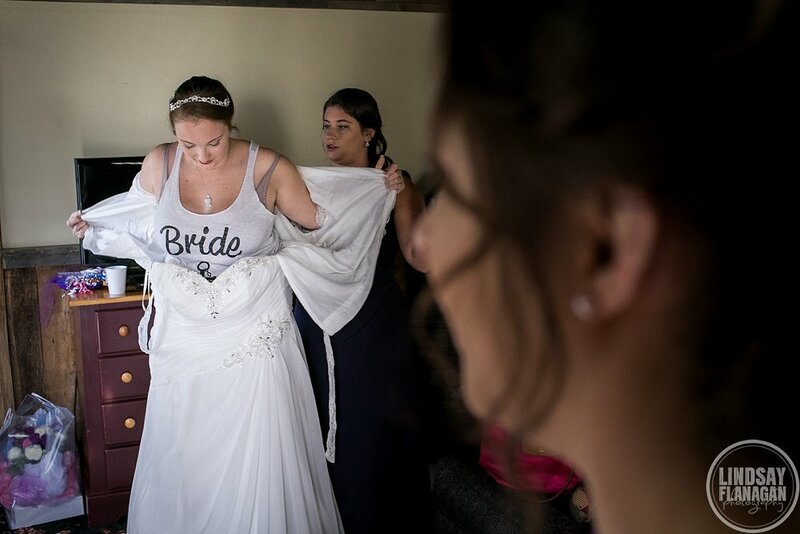 Nicole got ready for her walk down the aisle in an adorable cabin within arms length of the ceremony location. 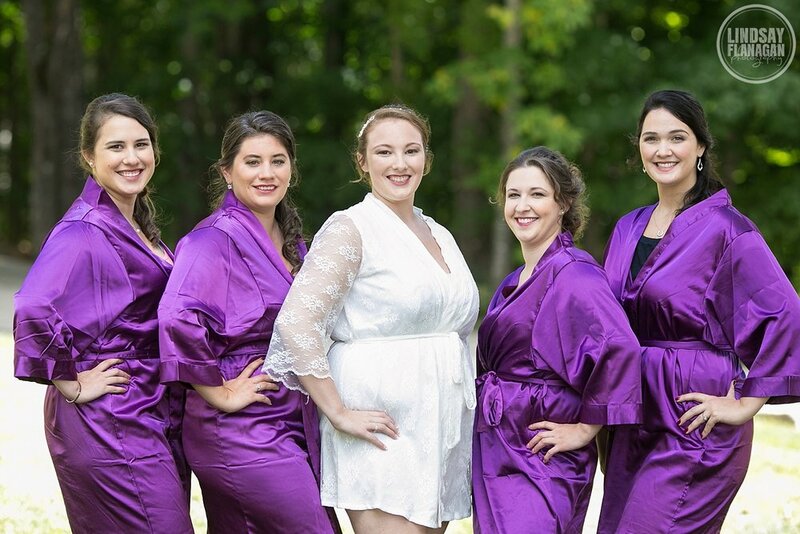 She gave her bridesmaids purple silk robes to get ready in and of course we had to take a photo of them all together. 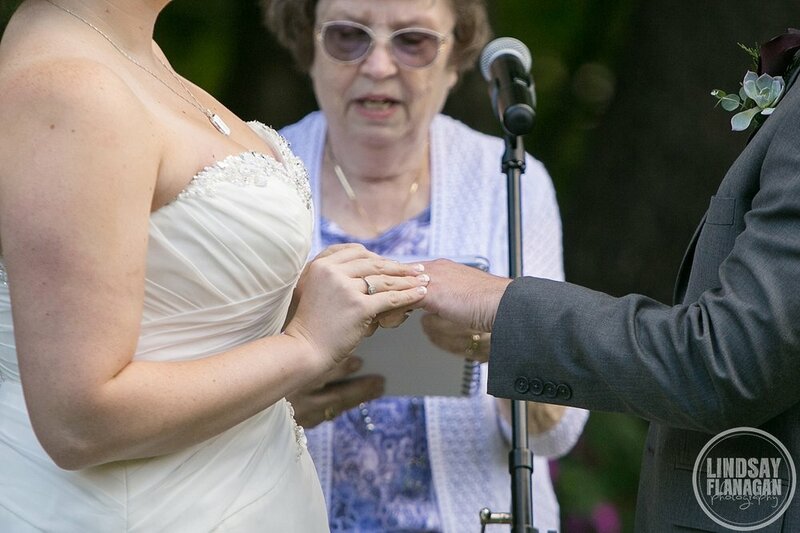 Nicole nearly broke down in tears as she walked down the aisle arm in arm with her brother. Geoff looked on in awe. 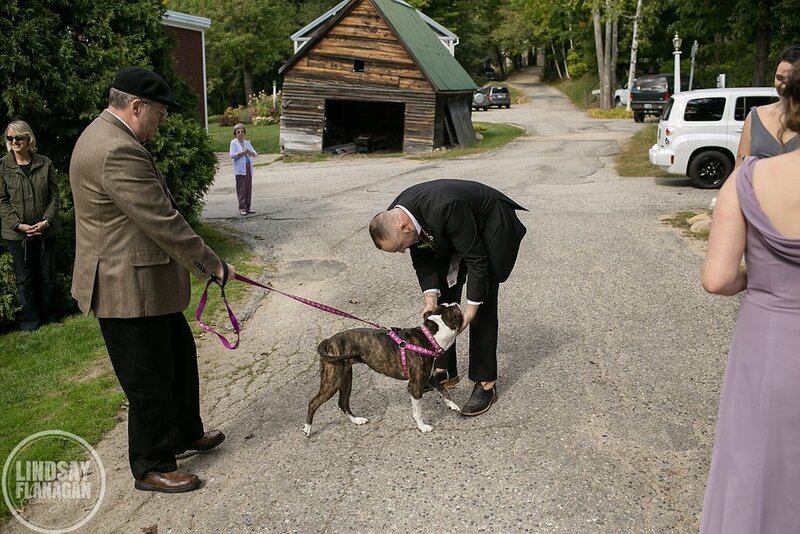 Nicole and Geoff just had to include their baby, a gorgeous and sweet Pit Bull, in their wedding day. He was there to greet Geoff after the ceremony and jumped in with the newlyweds for a few portraits. Then we spent a little time together during cocktail hour for portraits of Nicole and Geoff together around the Christmas Farm Inn's grounds. Next Nicole and Geoff joined their guests for the reception. Nicole worked hard on these beautiful details, complete with purple flowers, stacked books as centerpieces, adorable favors and custom place cards. 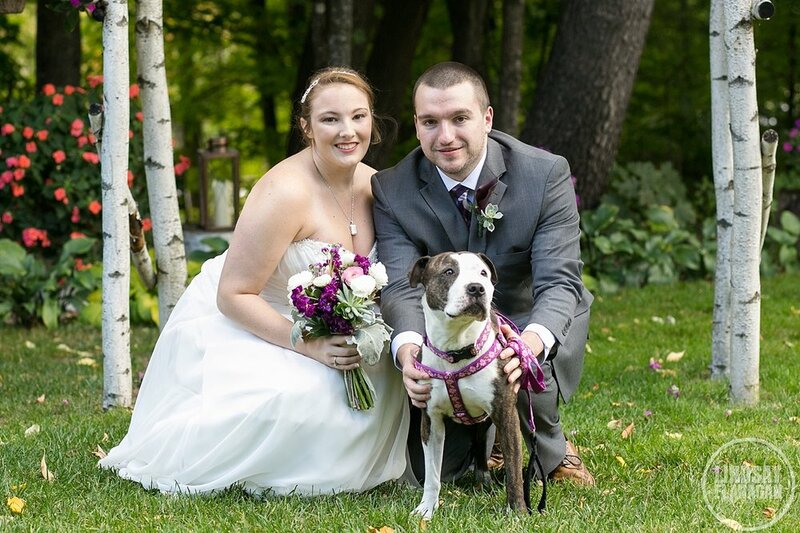 They were even able to include their dog as an adorable cake topper! The night finished with guests having a blast on the dance floor. Just before the end of the evening, I snuck Geoff and Nicole out to the front porch of the Inn for one last evening portrait.